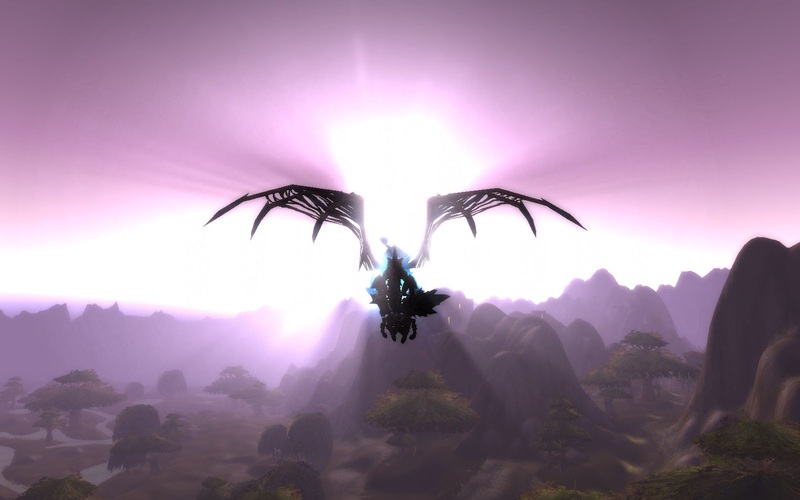 I find myself with 10 or so minutes to spare, so I thought I'd give you guys something interesting to read about! It seems that Bethesda have announced a new Survival Horror game codenamed 'Zwei' from developers Tango Gameworks - The official announcement from Bethesda is here and the one from Tango here. 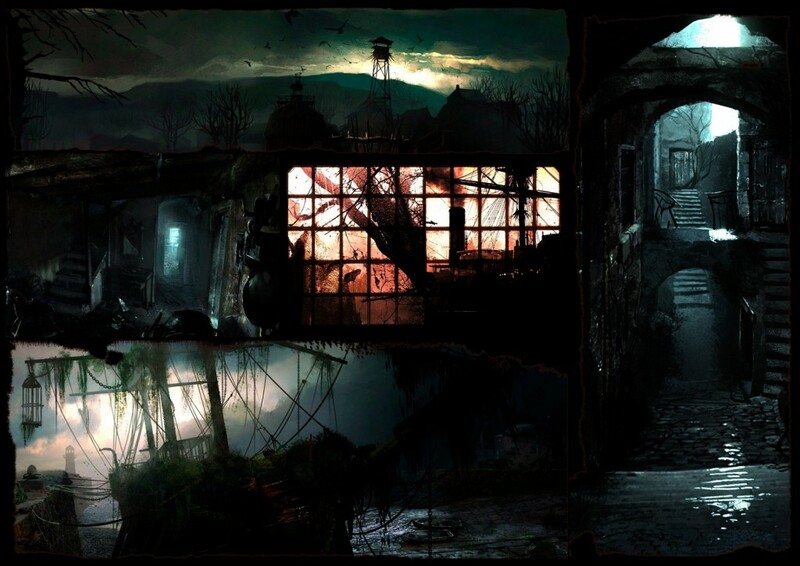 The above picture is the only artwork released so far, Survival horror fans what do you think? It's likely fans of the Resident Evil & Silent Hill franchises will be looking forward to this and I will try to provide more info when there is more available. I may even give this game a go although I haven't played a survival horror in years, I think the closest thing I've played to one recently is Bioshock - damn splicers making me jump. Aaanyways, as I said, I only had 10 minutes or so free, so that's that article done! Enjoy. As you've probably noticed, I haven't posted any updates for a while. This is primarily due to a heavy workload and a lot of stuff going on IRL (in real life - for those of you who aren't familiar with the acronym). I hope to resume writing sometime soon, but for now I'm still on a bit of a break. Dark Souls confirmed for a PC port! There are a few more, less important stories to break but I think the above three have gamers the most excited / interested. I wish I could find time to write an in depth article for each news story, but finding time is tricky. Expect regular posts sometime soon guys, I will return! As you may remember, back in mid march I found a possible Skyrim DLC leak that was posted on another website. While no dates of release were included, the site outlined the details of the 'leak' and summarised them for the internet to see. Now half a month later, Pete Hines (Vice president of Bethesda Softworks) has announced that April will be a time for news and surprises for their titles Skyrim and Rage (I never did get the chance to play Rage, maybe I'll buy it sometime). This definitely leads me to believe that this will be a DLC announcement for Skyrim, especially seeing as how the creation kit has been out for a while now, I can't really think what else would constitute as cool Skyrim news. It seems that April is going to be an interesting month for us PC Gamers - Skyrim news, possible Mass Effect DLC news, WoW MoP Beta news and I'm sure that lots of other interesting stories will come to surface over the month, lets just hope that these aren't belated April fools jokes, because let's face it, the internet was a big pile of useless on the first. But as always, I will do my best to keep you all posted as soon as I come across any more info! Fus Ro Dah! If you remember, on Tuesday I wrote about the fans protesting Mass effect 3's ending in a rather unique fashion. Last night (for those of us in Europe), Bioware responded to the mad idea in, I must say, a rather humorous fashion. Bioware decided instead of going with the 3 options given to them, they would proceed to select their own fourth option in the form of donating them to charity. Ah, the irony. The cupcakes actually look rather delicious. I know there are quite a few fans out there who are angry with this decision, but you have to give credit where it's due. And those complaining about their decision are acting a bit hypocritical; I mean Bioware gave us 3 endings to ME3, we chose a fourth - complain and protest. Fans gave Bioware 3 options, they chose a fourth - donate to charity. With so many hopping on the EA hate bandwagon and others acting like complete babies about the ending fiasco, they really are starting to make me get annoyed with the ME3 fan community. Saying a kind word about the ending or about EA or Bioware on the internet can get you floods of rage from angry forum users of late. Don't get me wrong, they're only a minority, the majority are forming well-produced and thought out criticism and providing accurate feedback regarding the ending. But anyway, I digress... Just wanted to let you guys know about this as it definitely made me smile! Happy Friday eve everyone! I'm going to be looking at something a little different today, rather than the usual Action RPG games I ramble on about. Today I'm going to be having a look into EA Maxis' next instalment in their much loved SimCity Series. me want to play this game again. Personally, the last SimCity I played was SimCity 3000 back when I was around 9, I remember getting it fairly close to the release date in 1999 and, boy, did I spent countless hours building up huge metropolis' only to plague them with earthquakes and other natural disasters (Space Junk was a barrel of laughs). 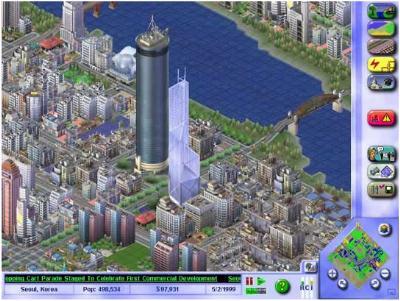 But for some reason SimCity 4 flew under the radar. I think this may have been because at the time I was playing my consoles more frequently, but who knows? 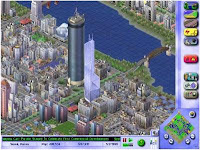 So after looking at what SimCity (5) has to offer, I was rather impressed, along with heavy graphical improvements and the features from the older games will likely be included, there will be a lot more being implemented such as resource gathering playing an important part; Senior software engineer at EA Maxis Dan Moskowitz has stated, "If you've built up an entire city on the economic basis of extracting a certain resource, when that resource runs out your economy will collapse.". Online play is another feature that is being added, which will allow you and your friends to build up a region of cities which sounds pretty awesome. But recent complaints have spawned from critics about this, why you ask? Well... to start up the game you will require an Internet connection. While for many of us having a stable, broadband, Internet connection seems like a standard amenity, many people without will not be able to play at all. Once the game has started, you won't get booted from the game, which I guess is some good news for those who use dial-up still, or have a very shaky connection. But still if your internet is down you can't play a local game...? That just doesn't make sense EA! 'Glassbox' fans are expecting good things! On the plus side however it has been announced by maxis that modding will be supported in this game, which is awesome for any PC game out there. If there are bugs, you can be pretty sure some modders out there will make a fix or a workaround. Also, the amount of fun cosmetic stuff the gaming community comes up with is astounding, so this was definitely a step in the right direction. A new dynamic simulation engine is also being incorporated into SimCity which sounds interesting, simmed units dynamically and randomly creating traffic jams whilst they actually travel around town or to work, now that's attention to detail! Especially considering that many people will be hoping to build cities with populations in the hundreds of thousands. As for release date, all that has been stated is that it will be a 2013 release, so I guess we'll have to be patient for a year, but this game has definitely piqued my curiosity and will be a game I'd love to invest in when it gets released. But for now I will leave you with the announcement video, enjoy!